Many older Americans are finding themselves in flux lately when it comes to societal changes. Political differences are pitting lifetime friends against one another. Other friends are divorcing after decades of marriage. Heck, even gay rights aren’t called gay rights anymore; they are LGBTQ rights (lesbian, bisexual, gay, queer and transsexual). How is one supposed to react to these changing times? Social issues like race and sexual preference are a hot button that can really get people going. While more and more Baby Boomers and those from generations before that are changing beliefs they’ve always held, some are still clinging to them tightly. Others are stuck in the middle, just trying to make sense of things. But seriously: What do you say to a friend is widowed and then tells you he’s been gay all his life so he’s moving in with his boyfriend now? You’re not alone if you feel a bit overwhelmed and unsure of how to act around others these days. And you’re not alone if you are one of the ‘others’ whose life is being lived more freely than in the past. Among the difficulties that many older Americans will face – beyond disproportionate levels of poverty and depression – is LGBTQ acceptance. By most standards, this part of the older population is only just now becoming accepted by portions of the populace. In fact, older adults are struggling the most with these issues of acceptance. According to the American Psychological Association, there are currently more than 2 million Americans over the age of 65 who identify as LGBTQ. Caitlyn Jenner is among those who are most well-known. Jenner came out as being transgender when she was 65 years old. Her name then was Bruce Jenner, a well-known Olympic, gold-medal-winning, decathlete who first blew onto the world stage in the 1970s. For decades, Jenner lived another life away from cameras – a secret life as a woman. The admission that she was transgender created quite a stir in the news and on social media, and when Jenner completed the transformation from male to female in September 2015, it was really all anyone could talk about. Some agreed with Jenner’s decision to finally be true to who she is. Others condemned it with questions like, “How can anyone who has been a man all his life suddenly decide he wants to be a woman?” The answer, though, isn’t as simple as some might believe, but the decision – and all of the upheaval that goes along with it – might be more common than you realize. People like Jenner hide their true selves from even their closest friends in order to be accepted by society so, for them, the public ‘coming out’ is not sudden for them. But when they do begin to express themselves to others, they face the possibility that longtime friends will abandon them. How you react to a friend’s disclosures is a personal decision but it’s important to understand that, whether it’s divorce or a gender change, the people you know are still the same people you have grown to love and trust through the years. It wouldn’t be strange, though, for you to feel that longtime trust has been betrayed because of confidences your friend has held in. It might help to look at the situation from their perspective: Your friend has found the courage to trust you enough to finally share something they have wanted to for years. Whatever has kept them from revealing themselves – whether that’s religious belief, embarrassment, fear of reprisal, etc. – has now left. An often decades-long personal struggle is difficult to overcome for the one in the battle; no one expects the one just learning of the battle to suddenly accept the news. Not all older Americans who identify as LGBTQ are as high-profile as Jenner, but all will face much of the same discrimination she did – many from their own peers. The problems they experience as they open up their lives may only be the beginning of years of discrimination for them. It’s not just sexual orientation issues that older Americans struggle with, of course. The Silent Generation and even Baby Boomers were raised during a time when race relations where difficult. Growing up with watching the struggles that non-white races – and even women – went through to gain equality, people’s belief systems were fed from all sides. Today, racial lines are blurred, as more people refuse to see color and instead look beyond skin to see what’s inside. Interracial marriages are commonplace now, for example. In the end, say experts, anyone can learn tolerance and acceptance for almost any issue that might divide them from those they know. 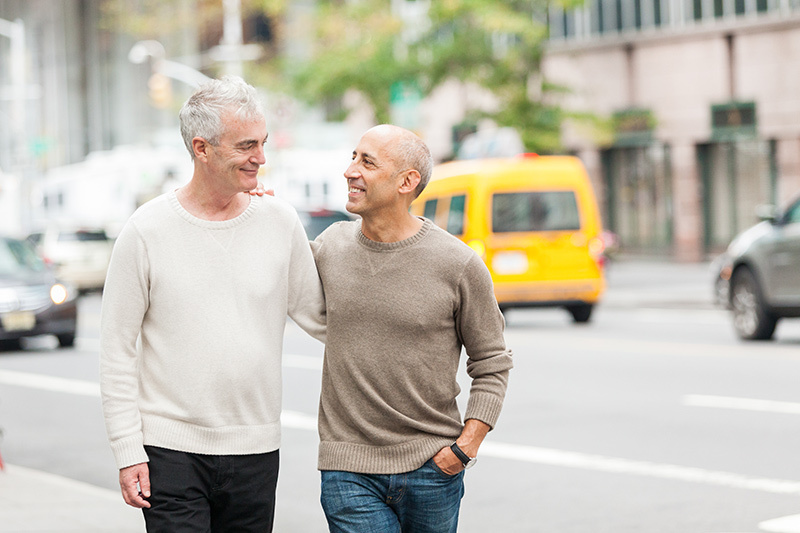 “The LGBT Aging Issues ,” American Society on Aging. “Resources,” LGBT Centers, Denis Spivac. “10 Ways to Fight Hate: A Community Response Guide,” February 2010, Southern Poverty Law Center. “The Senior Audience: Large, Growing, and Diverse,” July 2011, Public Health Agency of Canada. “Lesbian, Gay, Bisexual, and Transgender Aging,” American Psychological Association. “LGBTQ Seniors Face Discrimination in Long-Term Care,” Anna Gorman, October 2016, PBS Newshour. “LGBT Seniors Are Being Pushed Back Into the Closet,” David R. Wheeler, August 2016, The Atlantic.